7/01- Completed the build, ended up using my Lincoln Mig. 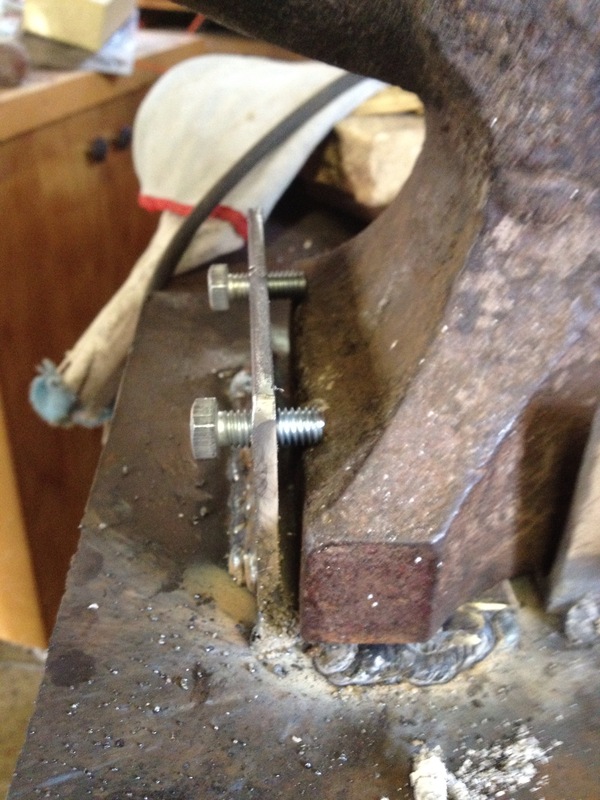 Gapped the bottom base- see my 8 cent solution below and preheated the heck out of it to aid with penetration. 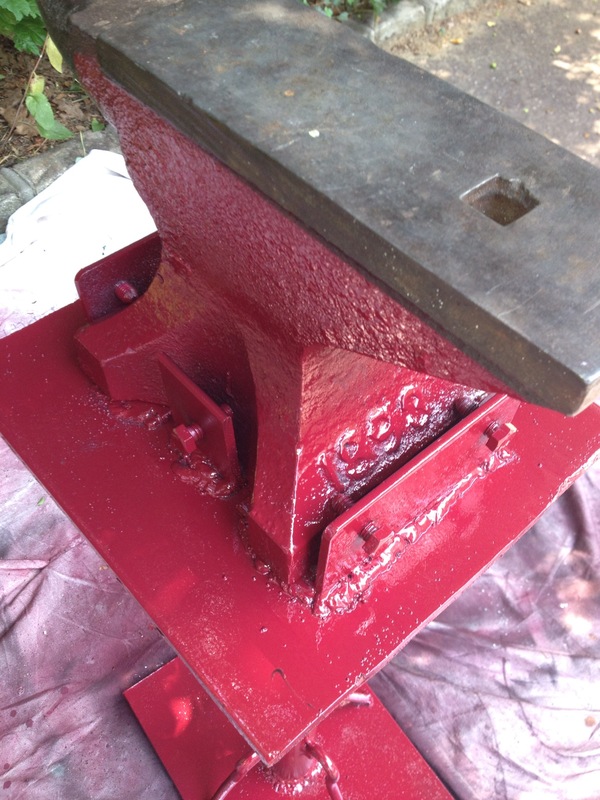 Used some old turnbuckle bolts for stiffeners, painted it for the heck of it. This is either a portable Fisher- 35# or maybe an Army Farrier‘s model. 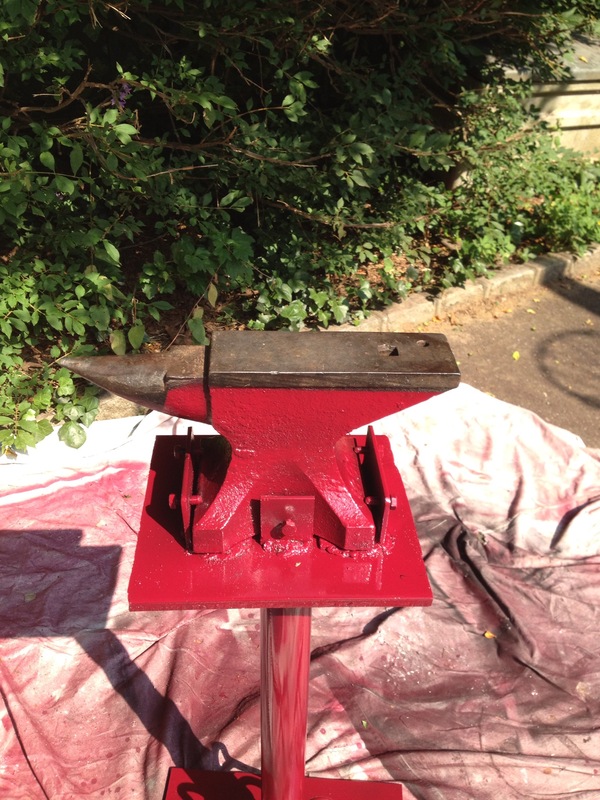 Fishers are also known as city anvils as they don’t ring. 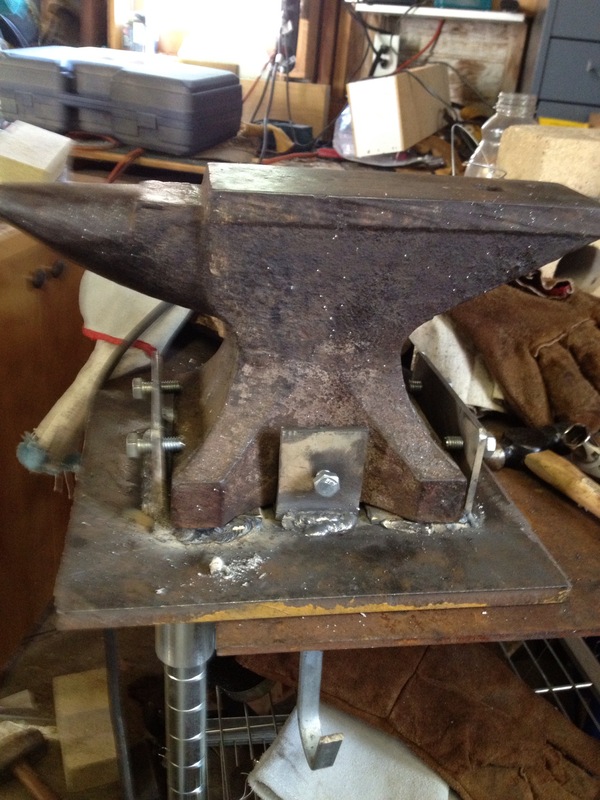 They are supposed to be cast iron bodies with tool steel faces attached by thermite welding.